At 18:39hrs Truck 21 (Barge) was sent on the MVA in the 600 block of FM1092. Upon arrival a 2-car accident was found with 1-female trapped. 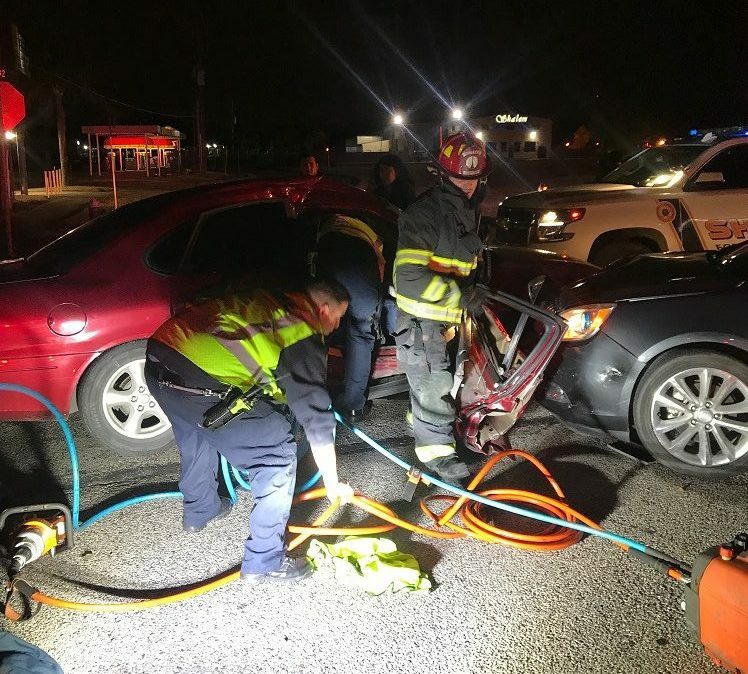 While Truck 21 extricated the female with the Holmatro tools Engine 22 (Scoggins) assisting with packaging 2-additional patients. Upon completion of extrication, packaging patients and securing hazards all units returned to service.